Stainless steel countersunk PZD screws in a portable carry case. A2 Stainless Self Tapping Pozi Screw Pack (570 Piece) is rated 3.7 out of 5 by 3. Rated 1 out of 5 by Ant 66 from Poor quality. Head chews up very easily. Rated 5 out of 5 by The jolly sawyer from Sailing Boat Box If you have a boat, this is just the box you need for screwing most fittings on. Cheap peace of mind. 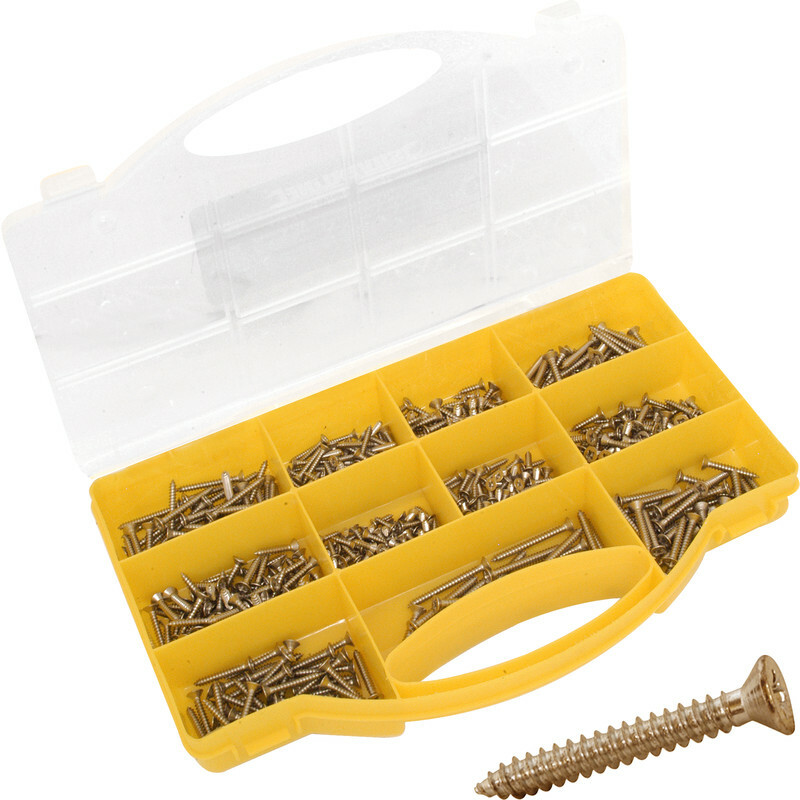 Rated 5 out of 5 by Topscrew from Always needed A good selection of screws , something you will always need, all in a handy box, good price , quick delivery.